just need little more detail service and expert technicians. Home Paramount is very attentive to our commercial needs. Customer service is excellent! Eric is very professional, attentive to our needs and always does his job with a smile. I am the landlord, and I have not heard complaints. 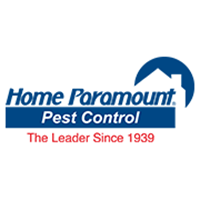 Home Paramount was very knowledgeable about how DC works with pest control. After finishing the job we’re having trouble with mosquitoes and flies. Have not seen a roach in the office for so long. Your employees are very respectful and friendly. I received a quick response to getting my request done. Great service, great people. We are very pleased with Home Paramount's service. The tech is very professional and gives us good feed back. Receiving good feedback from our residents. great team of guys who come here to do inspections- I've really appreciated their attention to the issues we have. The last inspector even made a special trip into the attic when I mentioned I thought I heard something moving around up there. Sorry I don't remember his name. I requested that traps be dated and they have been. Thank you! We are happy with the service! Our technician is very friendly and always helpful in special circumstances. Our technician is the best, took years to get this one right, thank you!! We enjoy the friendly and professional service with your technicians. The service I receive from Robert Davis is always exceptional. He is detailed because we had a small rodent issue and since we have been using home paramount and have had several technicians Robert our most recent technician has gone above and beyond to help eradicate the rodent issue by locating holes and entrances where they can enter. So thank you Home Paramount and Robert Davis and keep up the good work.